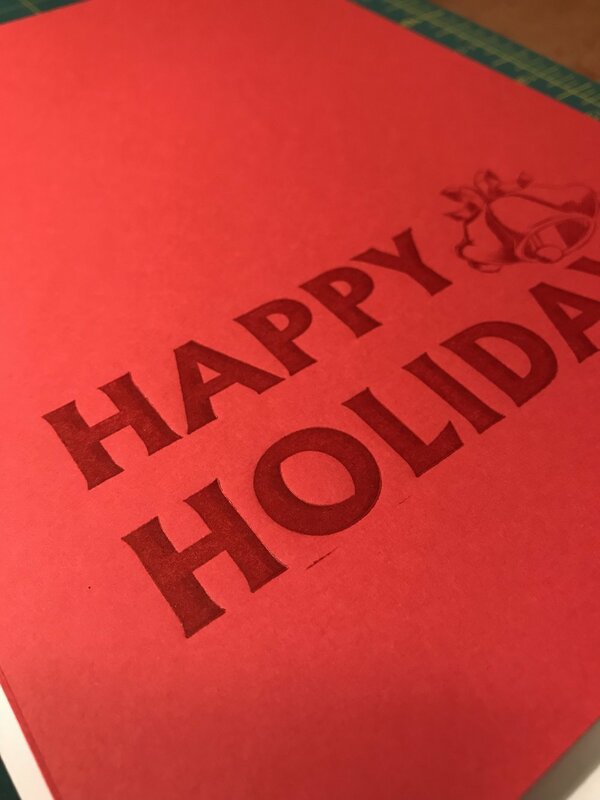 In early December I decided I had to print a vintage Happy Holidays plate I got from eBay. 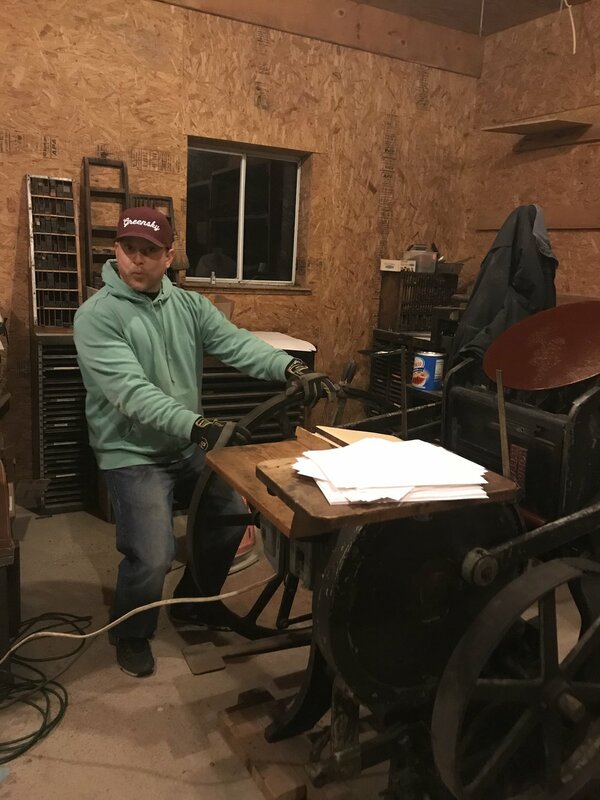 So my boyfriend and I headed out to the presses and set out to print greeting cards in a garage in 20° weather. The presses live in my friends garage. So we let the Chandler and Price warm up with the motor for about 15 minutes while it spread ink. I pre-cut my cards, so we just went for it. My friend PK also assisted a few prints, as Josh hand turned the fly wheel. Our motor is WAY too fast for our beginner hands, so we are just taking it easy doing some hand turning. Makes sense for winter, really. We printed about 100 cards total, and it was super fun despite Michigan being pretty wintery this year. I used French Paper Co. paper, they are a Michigan company that has been in business for over 100 years, and I just like supporting Michigan peeps. Looking for some letterpress? Let's make something!